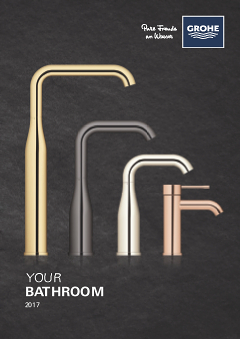 Reflecting the design aesthetic of the GROHE Cosmopolitan brassware and shower lines, the Nova Cosmopolitan Light actuation plate utilizes two basic geometric shapes. This simple combination of a circle framed by a rectangle is brought to life by a ring of light, while casting a gentle coloured glow over the surrounding areas. Mains-powered LED technology allows you to set the light to any colour – blue, green, red, yellow or one of the many tones in-between – or to have a constantly changing spectrum. 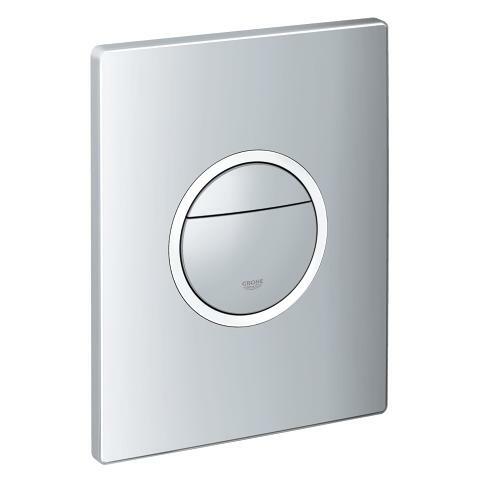 Finished in GROHE StarLight chrome, Nova Cosmopolitan Light can be mounted in either landscape or portrait format and can be programmed to switch on and off at any given time.